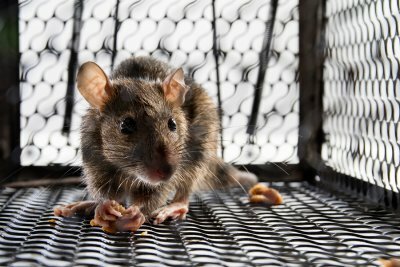 Mice and rodents pose a serious threat to the health and safety of your family. When your home becomes infested with mice, you will need to contact a mouse exterminator near Crystal Lake right away. Since mice can carry up to 25 different diseases, proper rodent control is essential for ensuring the wellbeing of your entire family. Fortunately, an expert mouse exterminator can eliminate your mouse problem at its source. After your exterminator has serviced your property, you can rest assured that your home is free of mice. To highlight the importance of mouse control, here is a look at some of the diseases that are carried by mice. One of the most common diseases that mice can bring into the home is salmonellosis. Salmonellosis is a disease that can cause severe symptoms in certain individuals. Some of the common signs of salmonellosis include diarrhea, cramping, fever, and aches. In serious cases, a person who has contracted salmonellosis may need to be admitted to the hospital. This serious disease is transmitted through mouse droppings. Hantavirus is another very serious disease that can be carried by mice and other rodents. When a person contracts Hantavirus, he or she may develop chills, fever, respiratory issues, or a severe headache. In certain cases, Hantavirus can be fatal. Typically, Hantavirus is spread through the urine and droppings of mice. Contamination occurs when a person breathes in particles that have spread into the air. When you are researching the different types of diseases that can be carried by mice, it is important to educate yourself about leptospirosis. Leptospirosis infections can lead to vomiting, rashes, fever, jaundice, and meningitis. While leptospirosis is rarely fatal, this disease can have serious health consequences. In order to make sure that you and your family are protected from the diseases that are carried by mice, you will want to set up proper mouse pest control at the first sign of an infestation. When you have a rodent control problem in your home, you may notice that these bothersome creatures exhibit certain unique behaviors. One of the most common rodent behaviors is constant chewing. As mice and other rodents begin to infest your property, you may find that your electrical cords, wooden baseboards, and other household materials show signs of being chewed upon. Rodents chew in order to sharpen and shorten their front incisors, which grow continuously throughout their lifespans. Fortunately, with the help of a mouse exterminator near Crystal Lake, you can schedule top quality pest management services that will help you eliminate mice and rodents for good. To learn more interesting facts about rodents, be sure to take a look at this video. Wasps are among the most dreaded bugs that can invade your property. During the summer season, a wasp infestation can quickly ruin your backyard fun. To ensure that your family and friends are protected from the dangers of wasps, it is essential to contact an exterminator in Crystal Lake as soon as you notice these bugs on your property. A pest control company that specializes in effective pest removal services can identify and exterminate a wasp problem on your property. To help you know when it is time to schedule pest control, here is a look at some signs that your home has a wasp problem. When you are checking for a wasp problem in your home, you can start by looking for any signs of flying insects around your property. 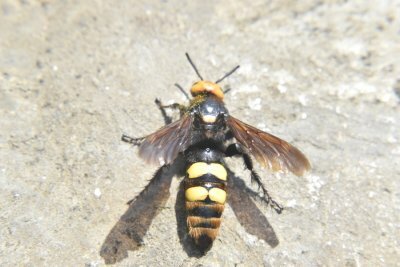 A wasp can be identified by its slender, yellow abdomen and long wings. When your property has a wasp infestation, you may notice several of these insects swarming around a single area. If you find the visible signs of flying wasps, you may want to contact an exterminator immediately. Certain species of wasps build their nests by chewing wood. When your home has a wasp problem, you may begin to notice holes or tunnels appearing in wooden surfaces on the exterior of your home. Since chewed wood could also be an indication of ants or termites, you should be sure to contact a pest control company to determine the precise cause of your wood damage. One of the top signs that your home has a wasp problem is when nests become visible on your property. Depending on the species of wasp, the nests may be constructed from chewed wood or mud particles. Since wasps will naturally defend their nesting area, you should always call in a professional exterminator to help you deal with the issue. Your exterminator can safely and effectively eliminate your wasp problem for good. Don’t try to remove a wasp’s nest on your own! Call the professional exterminators at Schopen Pest Solutions to handle the problem. The summer season is about to arrive, and the changing season can bring mice, bugs, and other unwanted pests to your property. To help prevent bothersome invaders from entering your home this summer, it is a great idea to work with an exterminator in Crystal Lake . Your exterminator will have the tools and skills needed to help prevent or eliminate a seasonal pest problem in your home. 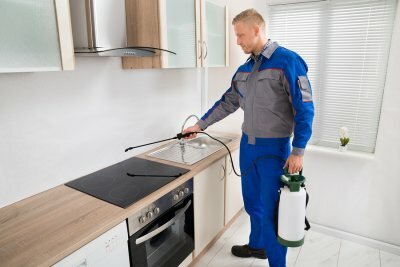 From cockroach control to mice extermination and more, your exterminator can help you get rid of even the most worrisome pest problem. To help you get ready for the coming months, here is a look at some essential pest control tips. To help prevent pests such as ants and mice, it is very important to clean up any food waste as soon as it is created. For example, if you plan to host a backyard cookout this summer, you will want to do the dishes as soon as your guests leave. By leaving food waste out on your kitchen counters, you will attract a variety of pests to your home. During the summer season, invaders such as rats and mice will be looking for tiny holes and cracks that they can use to squeeze into your home. To avoid pest problems during the summer season, it is a great idea to take the time to seal up any cracks beside your doors and windows. By getting rid of any potential entry points, you can keep unwanted critters out of your indoor spaces. If you plan on doing any landscaping projects this summer, it is also important to keep your yard clean and tidy. When you have piles of leaves, branches, or lawn clippings around your yard, these piles can create the perfect habitat for pests. Rather than leaving your yard waste out, you should be sure to always place it into your yard waste bin. With these simple steps, you can help to prevent a seasonal pest problem in your home.